1. Whisk together almond milk and 1 tbsp protein powder until smooth. 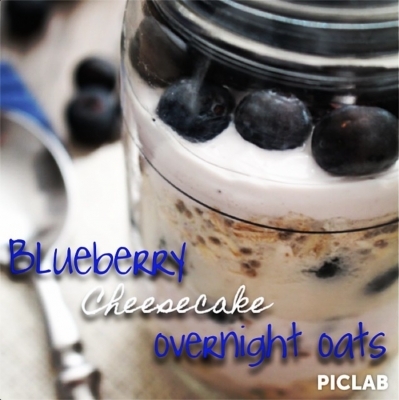 Mix in chia seeds and 1/3 cup rolled oats. Set aside. 2. In a small bowl, combine cream cheese and 1/4 cup yogurt. Set aside. 3. In a resealable container or jar, layer oat mixture, cream cheese mixture and blueberries. Refrigerate overnight.